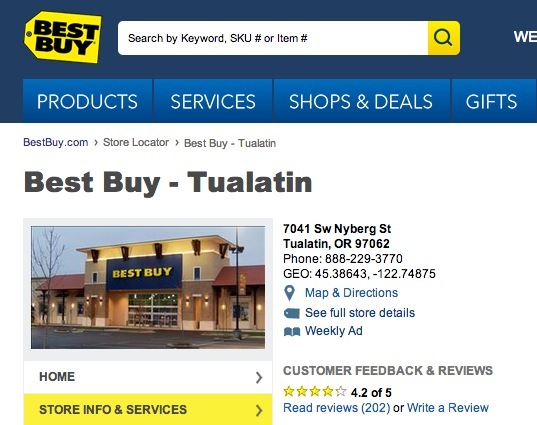 I phoned the 888 area code and reached a person that knew nothing about my Tualatin store. Hmmm, www.bestbuy.com is redirecting me to a support center that cannot help me, now that doesn’t sound friendly to me. The moral of the story is to only provide a local phone number on your web site, even if you are a nationwide company like Best Buy, because loyal customers like me just want our questions answered at the store of our choice. Don’t make your customers call a support center that cannot answer a local question.